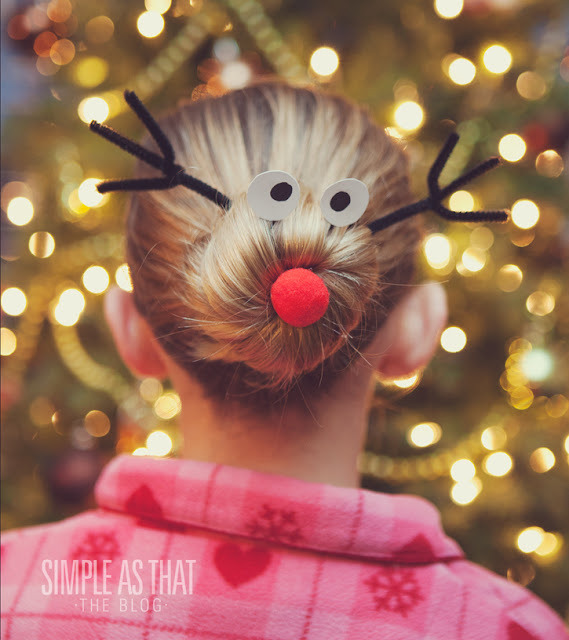 When I first saw this fun Halloween hairdo, it immediately reminded me of a fun reindeer bun I fell in love with last year. The silly spider Halloween bun is just as cute, and the hair even looked familiar! Makes sense, since they were both made by the very talented Rebecca and, I am going to guess, have the same model! I am dying that both of my girls recently cut their hair. I may still try to squeeze the Halloween birthday girls hair into a tiny bun to make this spider happen for school on the 31st! 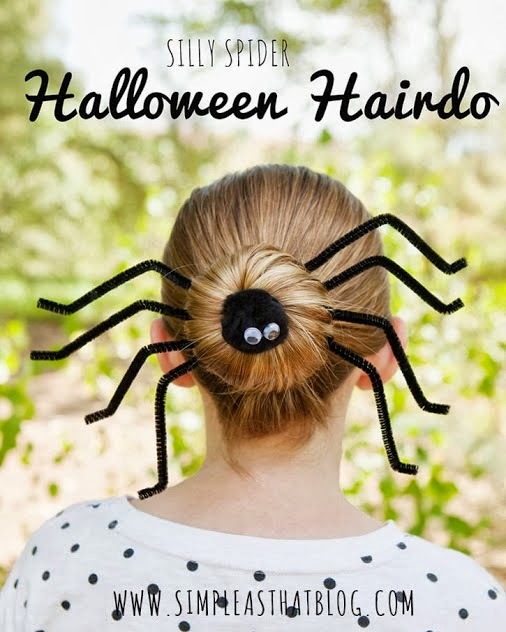 You can check out how to make a silly spider Halloween hairdo of your own over at Simple As That. love the spider bun the most! Cool!